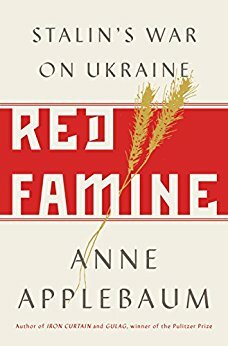 From the Pulitzer Prize-winning author of Gulag, a detailed historical account arguing that that Stalin’s 1929 plan for agricultural collectivization, which resulted in a famine that claimed the lives of millions, was designed to rid the burgeoning Soviet Union of Ukrainian peasants. 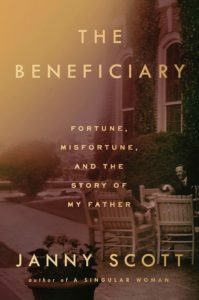 A masterpiece of scholarship, a ground-breaking history, and a heart-wrenching story … As with all Applebaum books, Red Famine places personal anecdote in the context of broader history, showing through an alternately widening and narrowing lens both the political context and personal tragedy of the Holodomor. The book benefits from large troves of previously unavailable sources, as Applebaum has taken advantage of the extensive Ukrainian archives that have opened up since the collapse of the USSR … Red Famine, as the most complete exploration to date of one of the twentieth century’s greatest atrocities, stands both as a work of huge historical importance and contemporary relevance. But above all it is a book of great emotional power, which stems directly from Applebaum’s willingness to give space to Ukrainian voices. ...a richly detailed history of the great famine ... Applebaum has painstakingly mined a vast array of sources, many of which were not available when the historian Robert Conquest wrote his pioneering history of the famine, The Harvest of Sorrow, 30 years ago: oral histories of survivors; national and local archives in Ukraine, including those of the secret police; and archives in Russia, which opened in the 1990s and then partly closed again, but not before various scholars published collections of documents from them ... It is a reminder of the lengths that demagogues will go to in order to suppress or distort the truth — something no less a problem in many a country today than it was in the Soviet Union more than eight decades ago. Anne Applebaum’s Red Famine is not the first book to chronicle this appalling history. Robert Conquest’s The Harvest of Sorrow (1986) was a seminal work that documented the 'terror-famine,' and rescued the immense human tragedy from historical oblivion. But with greater access to Soviet archives, and a more elegant turn of phrase, Applebaum’s fresher work is now the definitive version. Along with her Pulitzer Prize-winning Gulag: A History (2003), and Iron Curtain: The Crushing of Eastern Europe, 1944-1956 (2012), Red Famine is the third part of an impassioned triptych on the theme of Soviet atrocities ... Applebaum excels at describing the life-and-death choices people faced as a result of contradictions inherent in Soviet agricultural policy ... Red Famine balances erudite analysis of political processes at the top with fluent storytelling about their impact on ordinary people. What did you think of Red Famine: Stalin's War on Ukraine?